With summer just around the corner and family and friends set to visit for the holidays, why not suggest one of these design-led boutique hotels as a base for the week? Or perhaps bookmark them for a future weekend staycation of your own. The winner of Asia’s Best City Boutique Hotel Award in 2014, this hotel has gained acclaim for its oriental designs and top-notch dining options. The stylish 68-room property is right on the steps of the historic Pottinger Street; the “stone-slab” style street was the first of its in the city, and has also been granted Grade I historic status by the Antiquities Advisory Board of Hong Kong. 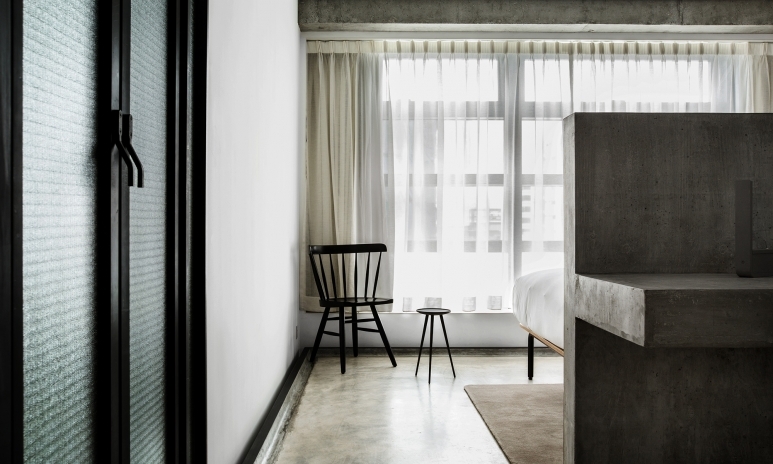 The hotel is classically designed with a colonial influence, and its rooms feature shots of the surrounding area from the 1950s and 60s by award-winning Hong Kong photographer Fan Ho. 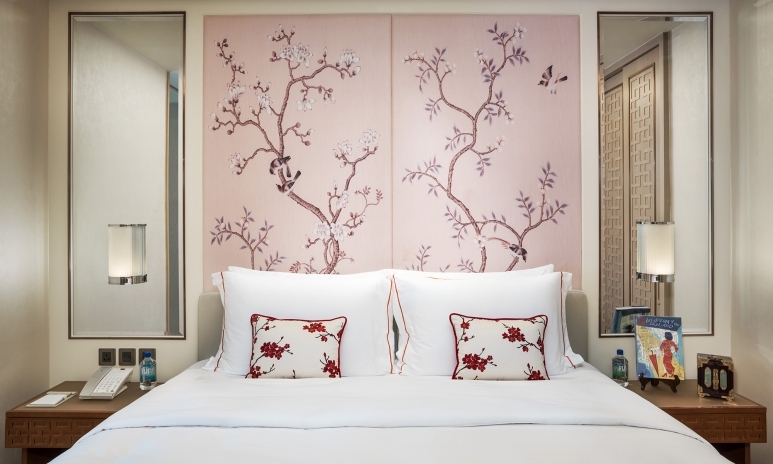 Seven premier suites feature bespoke décor that evokes Hong Kong’s cultural heritage. Just a stone’s throw from Victoria Park, Tuve is a boutique property nestled in the Tin Hau neighbourhood. It boasts sleek, minimalistic design courtesy of interior and industrial design firm Design Systems. Natural and insturial materials like wood, textured concrete, perforated brass, flecked marble and oxidised metal take centre stage throughout the 66 rooms. The hotel’s meditative, pared-back aesthetic is present in every detail, from the understated entrance – a nondescript set of battered metal doors that would be easy to miss if you weren’t looking for them, to the “wunderboxes” in each room – wooden boxes that open up into a desk and chair, revealing a minibar and tea-making equipment inside. 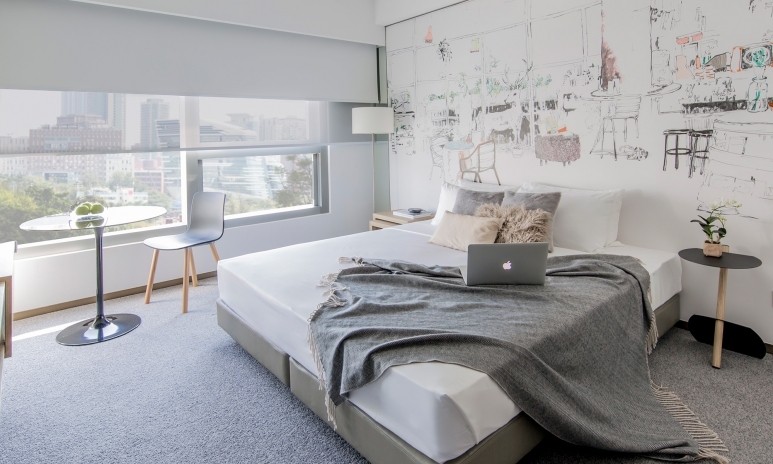 A brand new addition to the hustle and bustle of Jordan, Hotel Stage is located close to landmarks like the Temple Street Night Market and Tin Hau Temple. Besides the warm urban-inspired design in its 97 rooms, a highlight of the hotel is its multifunctional community space, Muse. Divided into three sections, Muse stocks fine art and design books, artisanal products and gifts, as well as 100 types of wines and nibbles like charcuterie and cheese platters. Performances, exhibitions and workshops are set to take place regularly at the space, as well. 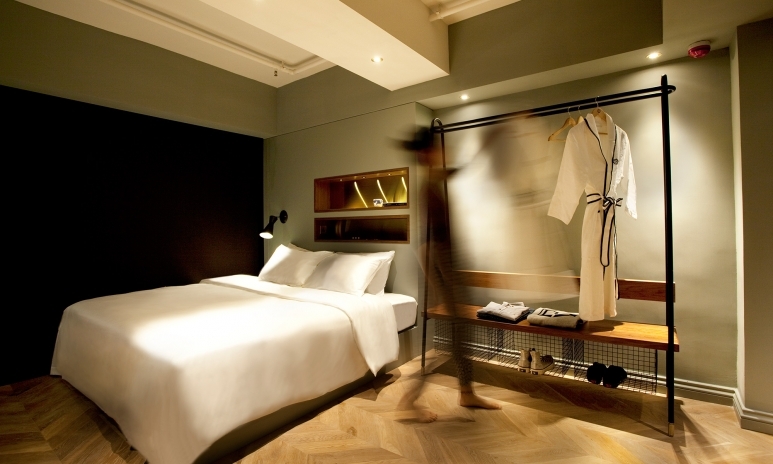 Yau Ma Tei’s Tribute Hotel pays homage to Hong Kong’s culture and history. It comprises 22 rooms with king beds, and two larger rooms that sleep four. 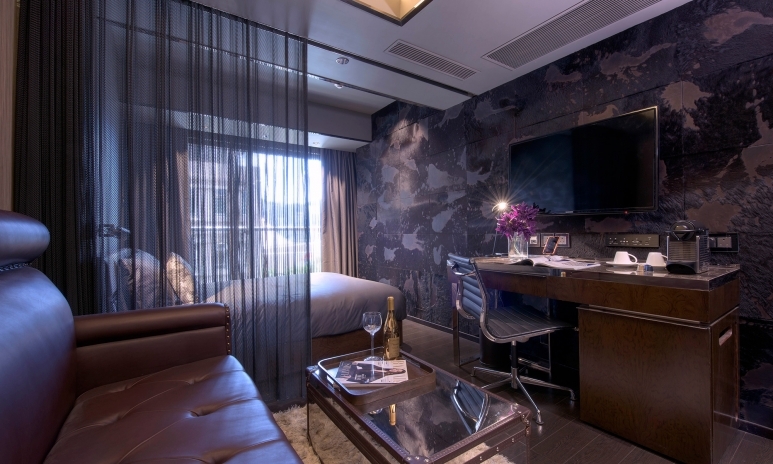 The hotel is full of quirky details, from dim sum carts in the lobby to bathroom tiles designed by home ware brand Latitude 22N and reminiscent of what you might find in a cha chaan teng. The hotel also supports homegrown talent – you’ll find craft beer from Young Master Ales, tea from Teakha and coffee from Common Ground. Local boutique design studio Fak3 converted a 10-story commercial building into Hotel Pravo, a luxury property with 93 rooms. Its façade is decked out with dark window frames and tinted glass, while an LED light pattern that mimics the rain lights up at night. The unique touches don’t stop there: the hotel’s reception is designed to be like a UFO; of the guest rooms, 52 of them follow specific design themes (for example, dark suede walls and industrial mesh drapery).